Julia sets are named after the French mathematician Gaston Julia, who introduced them in 1918. Consider the set of complex rational functions . The Julia set consists of points for which the orbits are bounded; such sets are self-similar. The Julia sets considered here are for maps of the form , with and complex. They are usually plotted with a maximum number of iterations for every point and displayed afterward. In this Demonstration, they are drawn step by step to see how the original region converges to the final set shown on the left. You can select the complex starting point and the number of iterations . 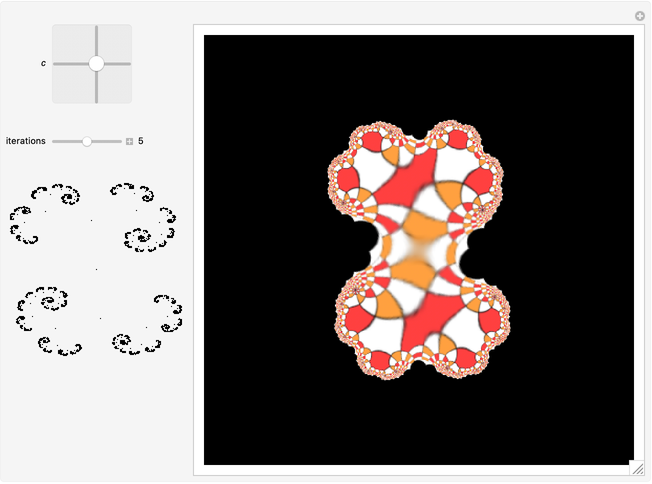 To understand how a circle folds in each iteration for a Julia set, see . K. Sims. 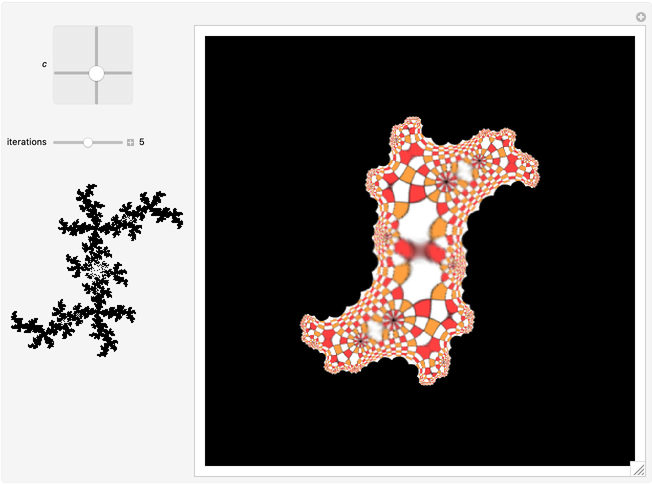 "Understanding Julia and Mandelbrot Sets." (Jan 27, 2015) www.karlsims.com/julia.html. Enrique Zeleny "Step-by-Step Julia Sets"